This Quick Open Women's Printed 3 Folding Umbrella is perfect for travel. The size, easy to use and can give good coverage against the rain is the best feature of why this is an ideal umbrella for travel. Printed with flowers on the canopy this satin fabric umbrella will surely go with any outfit or in any weather. The reliable Floral Print 3 Section Folding Umbrella operates quickly allowing the user to open this umbrella in seconds in a sudden rain. It is great for quick entry into a car, building, or tent. This Quick Open 3 Folding Umbrella is engineered to be durable and strong because it is made of fibreglass ribs and aluminium +metal shaft. This Women's Printed 3 Folding Umbrella has slip secured plastic handle to make sure the user get a good grip on this umbrella, all throughout the heavy rain! It also comes with the plastic tips to help secure the canopy to its ribs. A safety runner makes it easy and smooth to open and close. Our products are designed and crafted with the utmost care and attention to details and quality, ensuring we meet our customer`s needs with state of the art products, exceeding both in premium quality and innovative functionalities. The Women's Printed 3 Folding Umbrella has been crafted with our customers` needs in mind! It is a folding umbrella not only fit for travel use, but also solid enough to withstand heavy downpours and gusts of wind. Hyades Umbrella is a one-stop company that provides Support, Knowledge and Advice for your umbrellas. 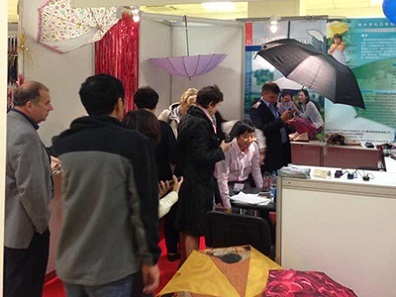 It is important to work with a company that has in depth knowledge of umbrella manufacturing. To ensure all technical elements are communicated accurately, we can provide precise specification sheets including materials, color swatches, samples as well as pre-production samples so the bulk production meets your design. Let us be your Team to assist you through the technical development of your range and successfully transform your umbrella designs into a collection that sells. We can assist you with all your technical information needs from initial idea to finished umbrella, with years of experience in Materials Parts Sourcing, Umbrella Manufacturing and Quality Inspection. We are a proud maker of the highest quality umbrellas which sell around the world! Hyades Umbrella specializes in manufacturing upscale umbrellas that cater to your needs. We can assist you from initial idea to finished umbrella, with 30+ years of experience as well as state-of-the-art innovation in Materials Parts Sourcing, Umbrella Manufacturing and Quality Inspection. Our mission is to go above and beyond your expectations. We have built a solid group of professionals for keeping our competitive advantage in the field. Our experienced purchasing personnel always seek the newest materials and negotiate for the best price. Our in-house quality control team conducts full inspection during the production to ensure the highest quality. We have been OEM for the high-end, designers` and luxury brands in the world as well as International Corporation. 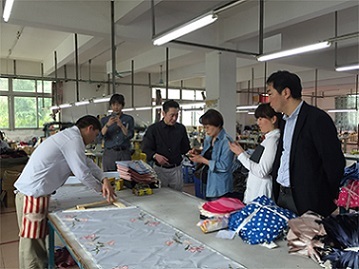 Our products mainly export to Japan, Europe and America. We have been collaborating with importers, wholesalers, hotel/resorts and retailers worldwide. 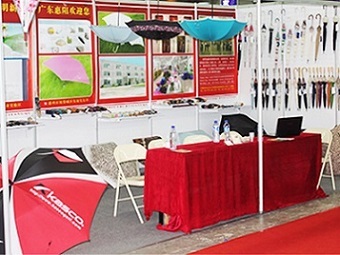 Our products include all ranges of umbrella: Straight umbrella, Folding umbrella, Auto Open and Close Umbrella; Golf Umbrella; Adult, Kid`s and Specialty Umbrella; Women's umbrella and Men's Umbrella; and umbrellas for rain and shine. 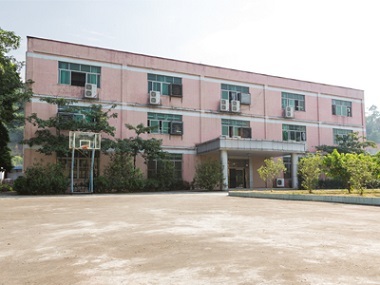 Our factory is located in Guangdong, China, while our experts gained their expertise from Taiwan. The monthly capacity is reaching 100,000pcs. The plant and warehouse occupy 7000 m2. Flexible in order volume; orders can be done in LCL or full container. MOQ can be discussed accordingly. Staffs are fluent in English and reply email inquires within hours. We look forward to hearing from you! Now, we are ready for new continents and new markets. Will you join us? Company Name: Hyades Umbrella Co., Ltd.